Danielle Lafleur, Advancing Women Executives Leader. 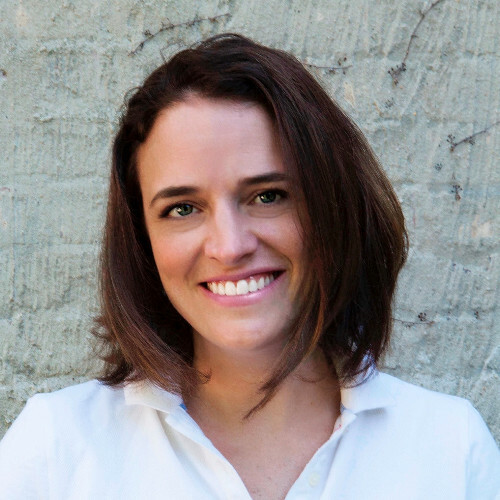 Danielle Lafleur is a dynamic builder of brands, people, and strategies. Currently, she is the Senior Vice President, GMM Mens and Kids at Tommy Hilfiger. With 20 years of experience in iconic lifestyle merchandising, Danielle continues to re-imagine the way Tommy Hilfiger operates which has helped to drive the company and the team into its current dynamic success. A big-picture thinker, Danielle empowers those around her to collaborate, innovate, and connect - which has led to the consistent delivery of a compelling brand message and exponential growth. Danielle started her career with brands including Ralph Lauren, J. Crew, and Calvin Klein, where she held titles such as Merchandiser and Senior Buyer. She then moved to Tommy Hilfiger, where she has been a committed leader for over 10 years. Danielle has re-invented herself holding many diverse roles and channels of distribution at Tommy Hilfiger including specialty, wholesale, ecom, and company stores. She is currently responsible for mens and kids company stores, merchandising, and kids design, which includes setting the brand’s merchandising vision. In addition to building product and financial strategies, she leads a highly talented team of merchants and designers, whom are continuously developing, whilst working with global teams to ensure synergy across Europe, South America, Asia, and PVH. Together in tandem, they spearhead new processes and technology solutions to make time for fresh concept and strategy execution. She is a thought leader within the company and she is frequently sought after for ideas, as well as her ability to influence and gain buy in by her cross-functional partners. As a loyal champion of women, Danielle was a part of the PVH Women’s Leadership Council as an inaugural member, and is an active leader in Advancing Women Executives - an organization aimed at accelerating the careers of women in business to improve the global economy. Danielle's impact reaches beyond the walls of her office - she has been involved in various volunteer projects that span ages and regions. She has helped develop an adaptive clothing line for children, a mentorship program that linked teens with associates at Tommy and she was an Ambassador for Millennium Villages Promises, an organization that led a successful revitalization project in Ruhiira, Uganda. Born in Denver and raised in New England, Danielle completed her Bachelor of Science in Apparel Marketing and her Bachelor of Arts in French from the University of Massachusetts, Amherst. When she is not working, she can be found planting seeds, cooking for loved ones and adventurously exploring the world to embrace an abundant diversity of culture. She currently resides in Brooklyn with her husband and their 8-year old son.